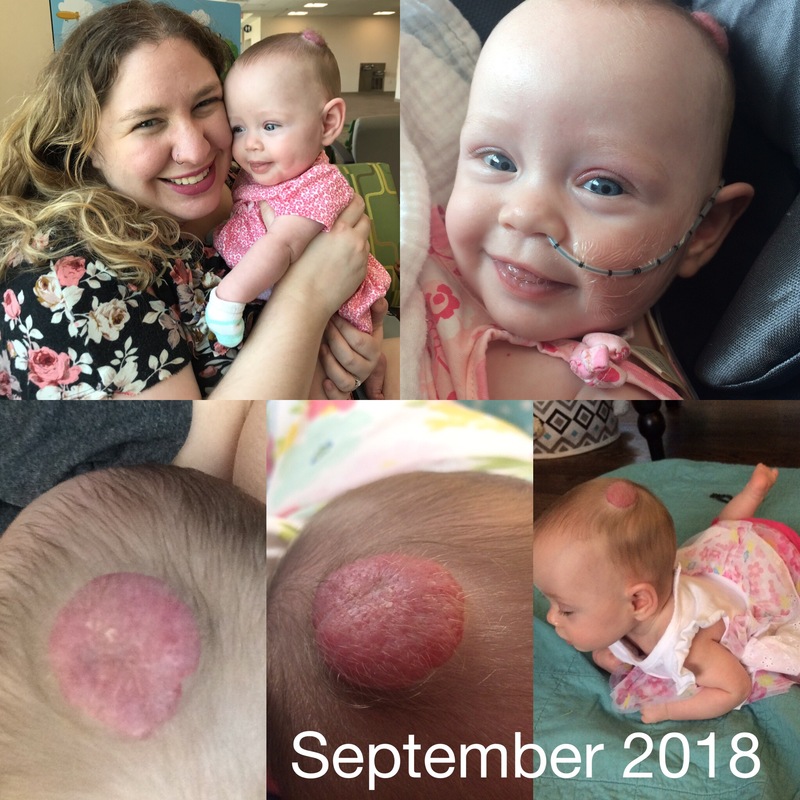 Isabella was born without any birthmarks, but, after a few weeks we noticed a small, flat, red spot on her head. The NICU team assumed it was agitation from her CPAP hat so we switched her breathing assistance to give it a break from rubbing. After looking closely, her primary nurse and I determined it didn’t look like skin breakdown but more of a permanent spot. 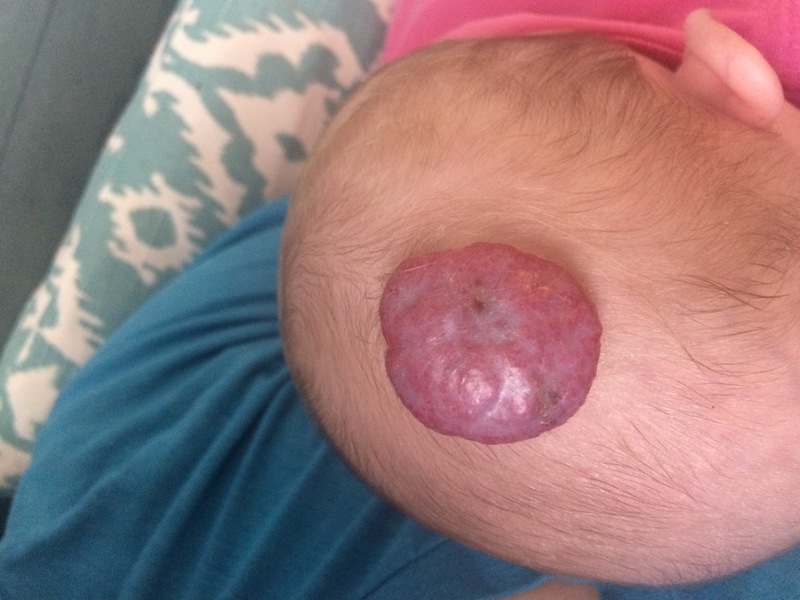 She threw out the thought, “oh she’s probably got a hemangioma!” I, of course was terrified looking up images (after learning to say/spell it). 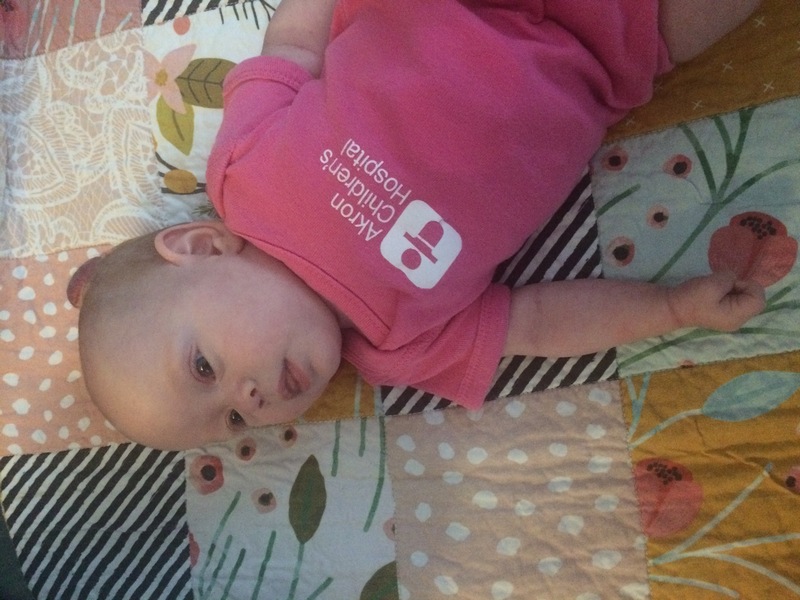 Repping Akron Children’s Hospital, where we lived for 100+ days! Why is her birthmark a problem? 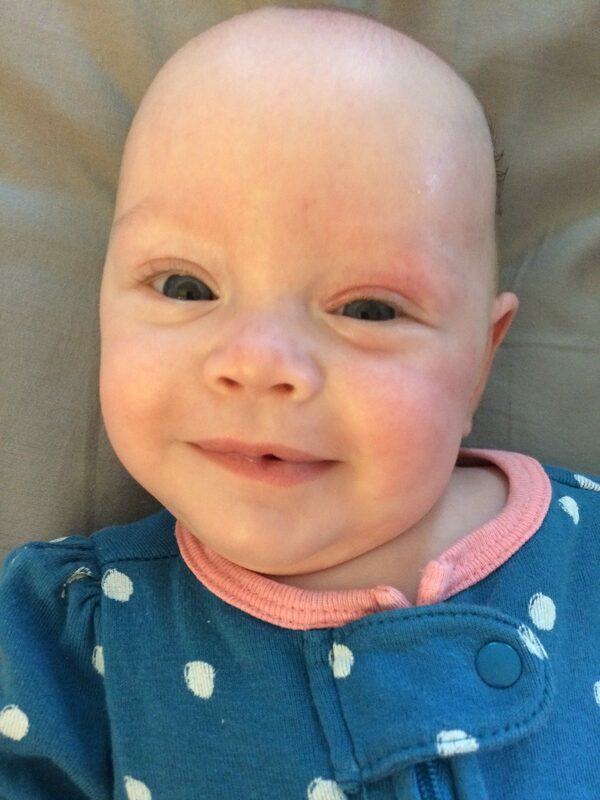 Sadly, after being readmitted to the NICU we noticed 3 more teeny red dots/beginning of hemangiomas on her tummy/chest. They are elevating but don’t look scary yet. We were advised to follow up with dermatology to reconsider treatment. When there are 5, it’s recommended to begin treatment because there’s higher risk of internal ones. Internal ones can cause issues with major organs. 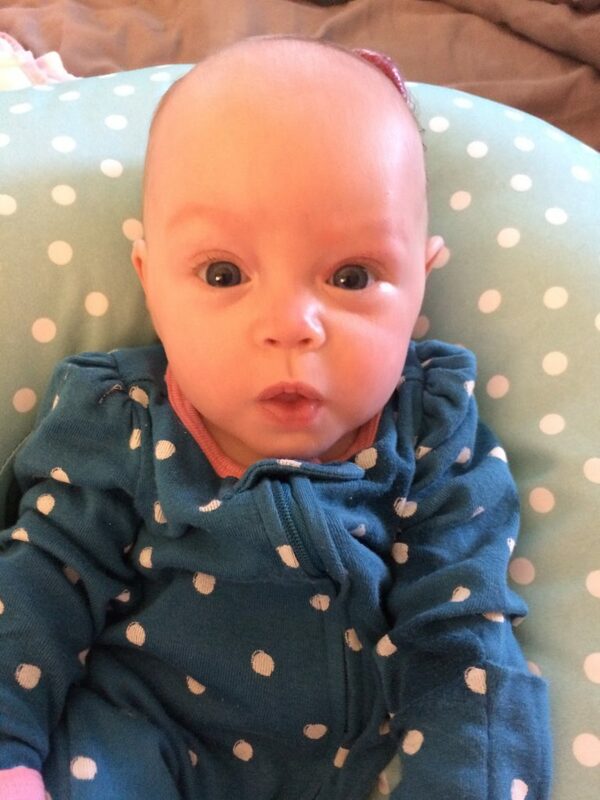 The large one on her head is also growing rapidly. 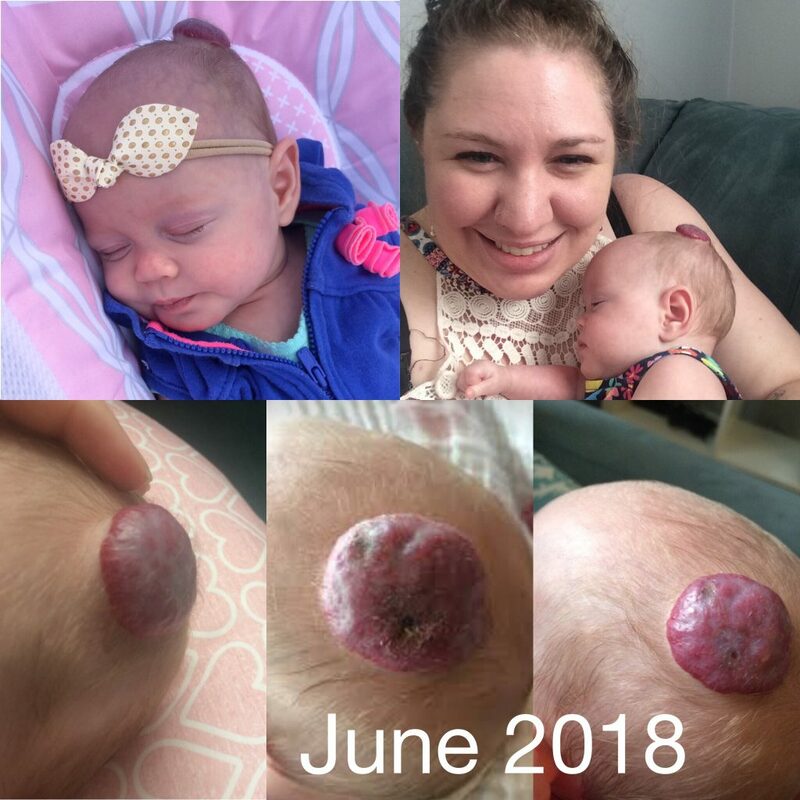 So, we were waiting for August 9th for her appointment when we noticed the birthmark changing color. I knew these things could ulcerate (skin breakdown), but hadn’t seen signs before. I’m so glad I trusted my intuition. I immediately contacted our dermatologist who confirmed with images it is beginning to ulcerate. 🙁 We began treating it with antibiotic cream and see him on Monday. (He offered the next day but we felt Bella needed to rest after going through so much). He said ulceration could be extremely painful. I’ve seen what they look like when they break down and it’s very painful looking. What’s next? Isn’t it an easy fix? 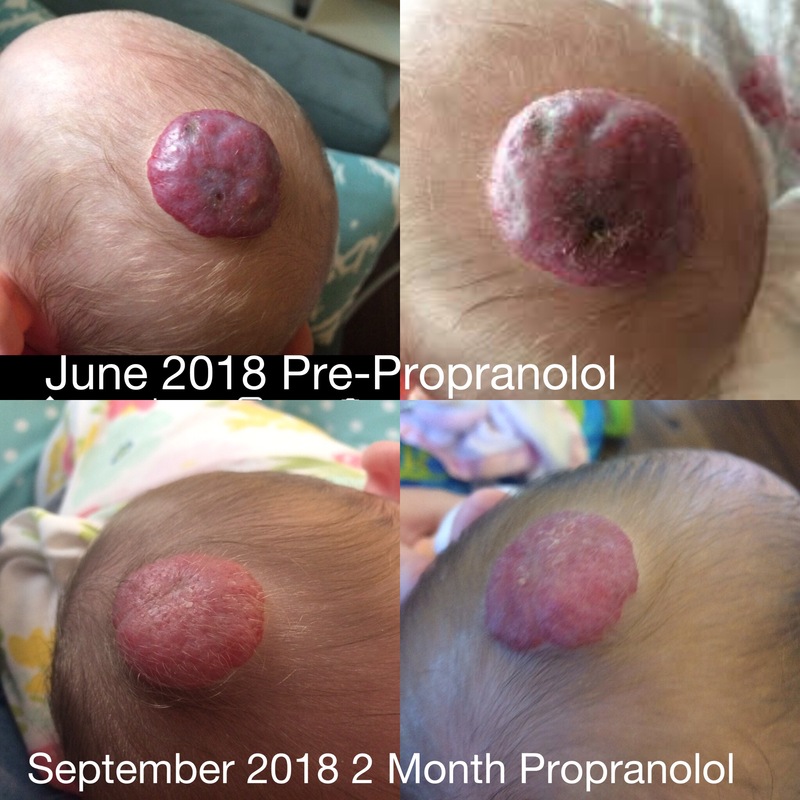 We will begin treatment with a drug called propranolol. This medication inhibits the growth of blood vessels and constricts current ones. This is hard for us as Bella is the size of a newborn (7lbs 12 ounces) and the thought of messing with her blood pressure/cardiovascular system terrifies us. That being said, with monitoring her blood pressure and vitals this treatment is safe and effective. It’s very commonly used. 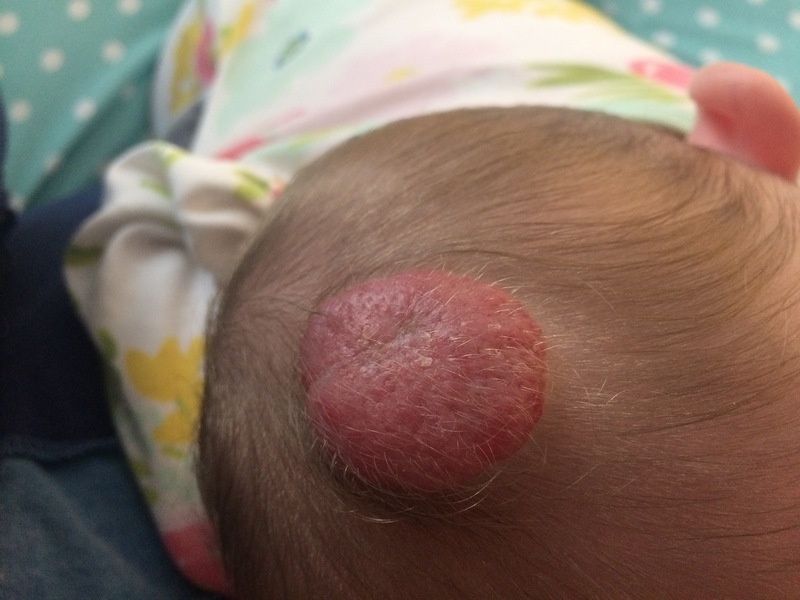 We don’t want the ulceration to get worse and we certainly don’t want to worry about internal hemangiomas! I, personally would also like to prevent the others from getting to the size of her larger one. 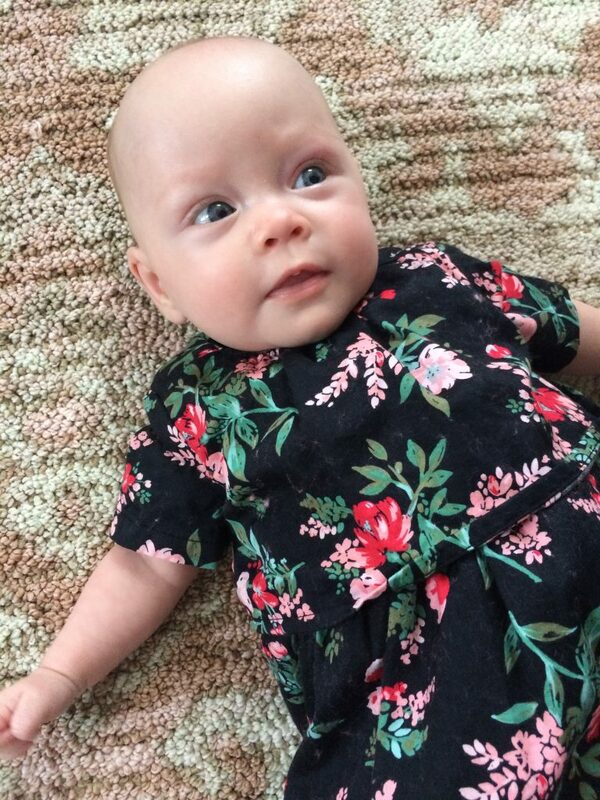 Since they’re on her chest/stomach they could interfere with her tummy time or gtube. 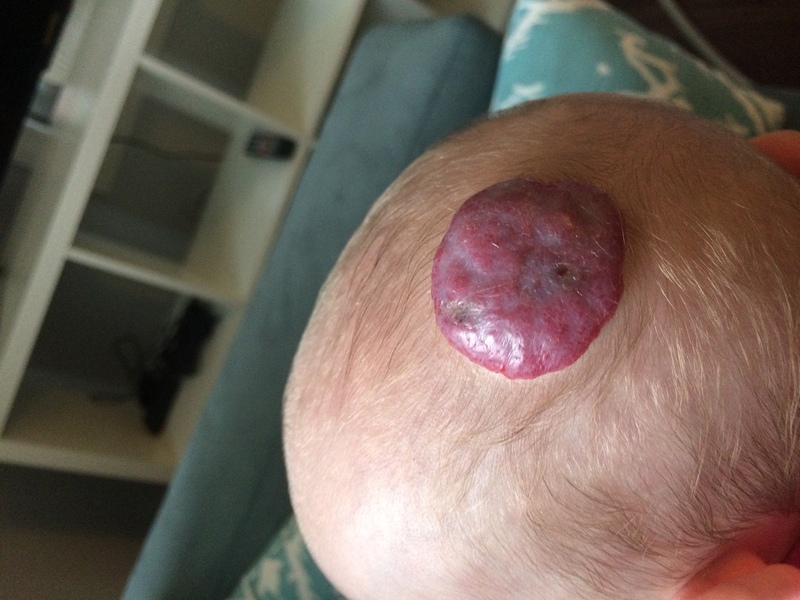 After talking to the doctor, we decided to do a liver ultrasound just to confirm there aren’t any hemangiomas there. 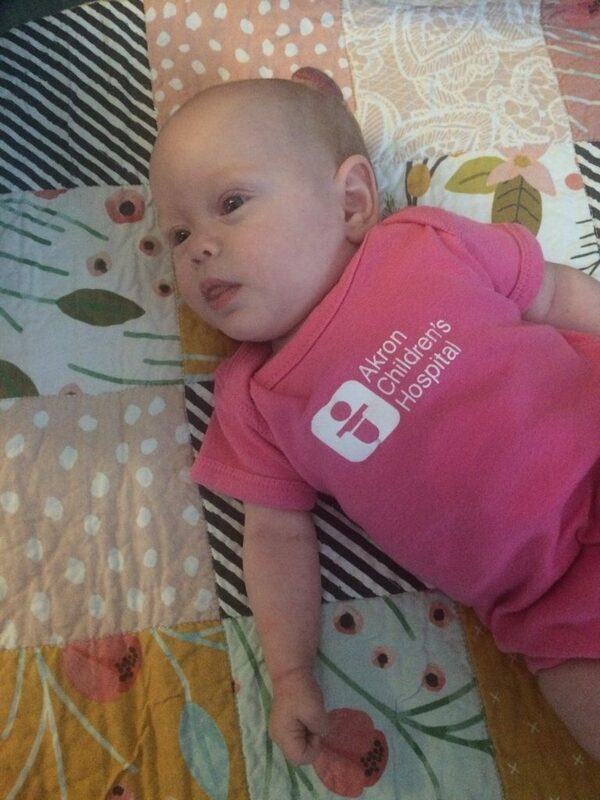 So, on Monday we’ll be trekking to Akron Children’s for her appointment and ultrasound. 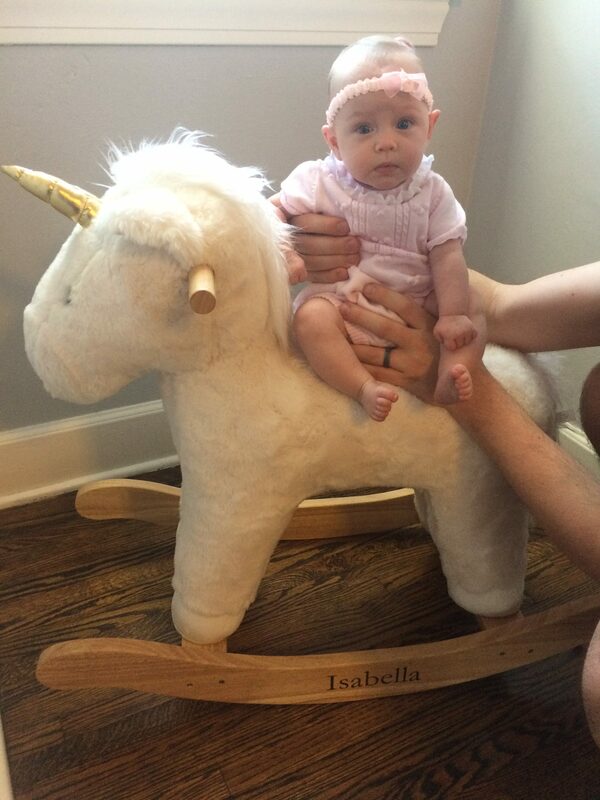 Adorable enjoying her own nursery!